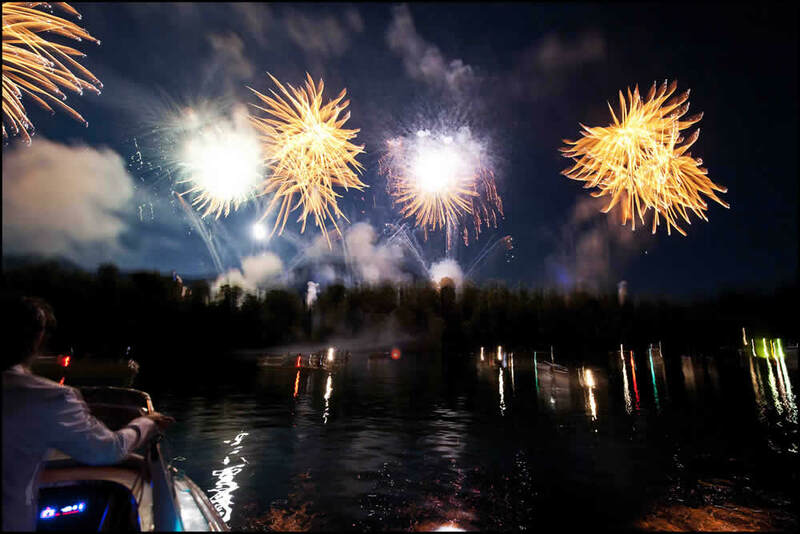 The photographs to the left are from the 2013 firework display and show a stunning array of light and with such a backdrop the colours and spectacle are phenomenal. Isola Comacina, the only island in Lake Como, is, of course, best known as the home of a high profile restaurant, the Locanda del Isola Comacina. 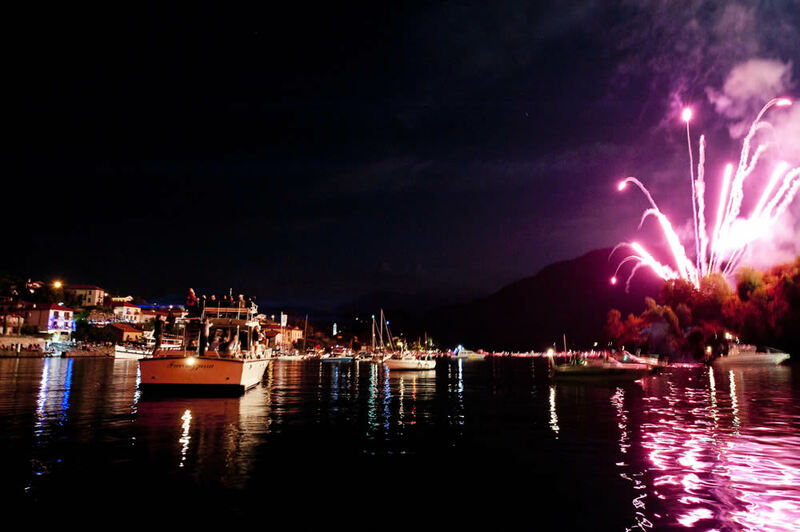 In the last weekend of June however, the island provides a magnificent firework display that forms part of the ‘Sagra di San Giovanni’ – the Festival of St John the Baptist. 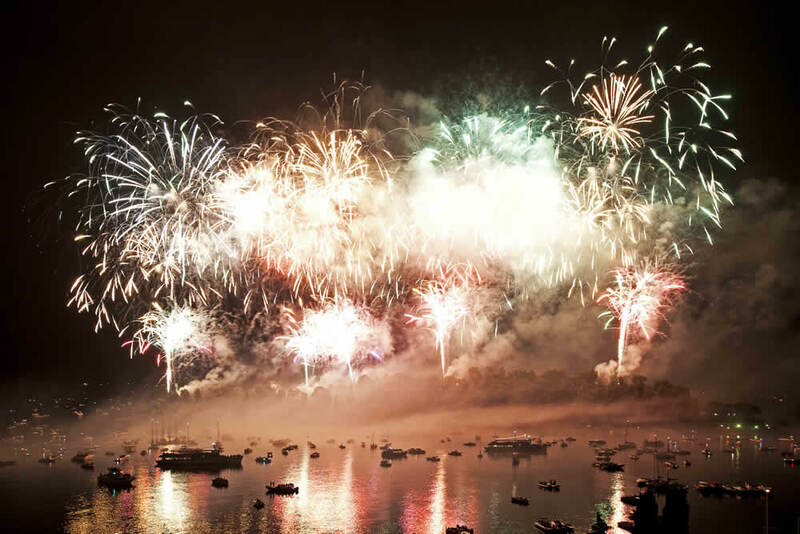 The fireworks are set off in front of the Island, in an area known as “Zoca de l’Oli” (Oil Basin), because of its calm waters, sheltered from the wind and waves. The island of Comacina in the commune of Ossuccio is the only island on Lake Como. In the Middle Ages a number of battles took place here and in 1169, it hosted a battle between the Milanese and Como townsfolk. 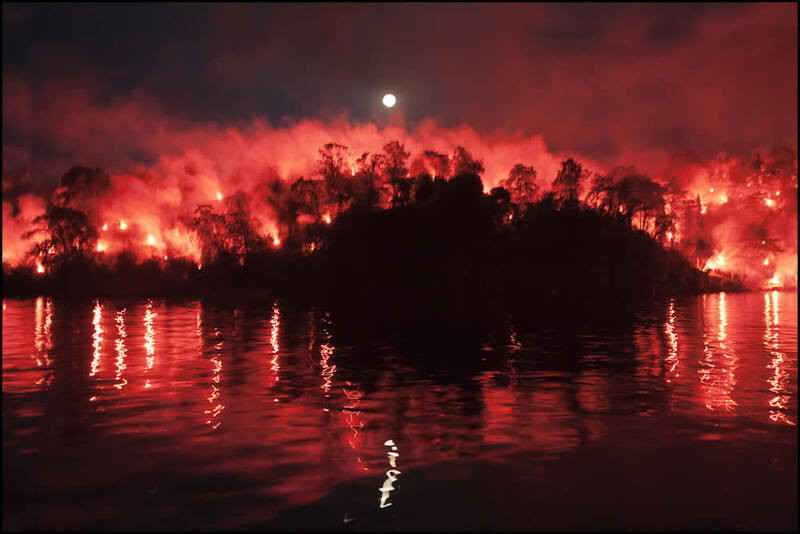 This prolonged aggression of over 10 years of fighting incited the inhabitants of Como to burn it to the ground as a punishment for supporting Milan. This battle is commemorated with a firework display lasting half an hour. The best way to watch the event is on a boat on the lake or on the mainland in front of the Island.